In January the streets and side walks of Berlin can be blocked by Christmas trees. This is not part of a weird Swedish tradition (“KNUT”), but the official and correct way how to get rid of old Christmas trees. Berlin’s trash and recycling service BSR will occasionally come along and pick all those trees up. So if you happen to have a christmas tree – and want to get rid of it: just leave it in the street between January 1st and January 6th and everything will be fine. 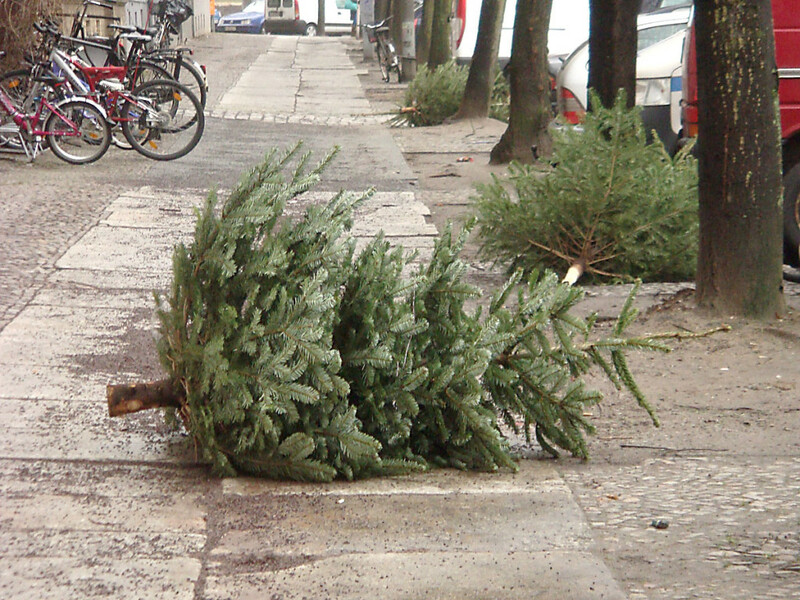 And even if you leave your tree in the streets after January 6th chances are, that it be picked up by the Berlin trash and recycling service BSR. Merry Christmas!